Education and outreach are key to teaching present and future generations about our unique resources and why it is important to conserve them. Licking Soil & Water offers many education opportunities including school- and community-based programs. For more information, please contact Licking Soil & Water at 740-670-5330, or via email. 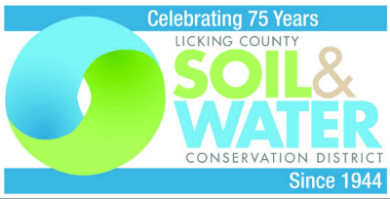 Thanks to our generous sponsors, Licking County Soil & Water Conservation District offers free seedling trees to elementary and middle schools who serve Licking County students. The free seedling tree program is an opportunity to show students how important trees are to their health, their community, and their environment. Option 1: Each student from participating schools receives a seedling tree to take home. This option is ideal for schools where students have a place at home to plant a tree. If large portions of the student body live in apartments or rental properties, consider Option 2. Option 2: Request a certain number of trees to be planted on the school grounds. This option is perfect for enhancing an outdoor classroom. Additionally, this option allows all students to have ownership and responsibility for the trees planted at their school. If you choose this option, a variety of native tree species will be provided. In addition to the seedling trees, your school will receive tree planting guides, tree education resources for the classroom, and the company name of a Licking Soil & Water Annual Giving Campaign contributor. Please have your students write a thank you to the generous contributor that helps make the annual free seedling tree program possible. Registration will open on May 1, 2019. Sign up for the electronic newsletter, Conservation Notes to receive updates and reminders. Education Programs are offered in the classroom, a nearby park. Prepared programs to check out to use in your classroom are also available, listed below. For more information, please contact Licking Soil & Water at 740-670-5330. Soil-based Programs: The soil under our feet plays a major role in where plants grow and animals live. Participate in soil tests and use scientific equipment to discover characteristics of Ohio soils. Compare soil from various places such as stream banks and grassy fields. Consider how soil is made and how we use the soil, rocks and minerals under our feet. Meet some soil builders and let them teach you how you can build soil in your community. Choose from the programs below. Mix and match programs to fit your needs and time limitations. Soil Testing (30-60 minutes): Students answer comparative questions by performing soil investigation tests. Students read and follow soil test directions, collect soil samples from various habitats, and use scientific equipment. Vermicompost and Worm Investigation (20 minutes): Identify worms as decomposers in a working vermicompost system. Investigate worms in small working groups. Each group gets a worm, investigation equipment, and worksheet to record observations. As a group, conclude with a guided discussion on what ecosystem services worms provide as decomposers. Mineral Puzzle (20 Minutes): Use rock samples to guide conversation about how are rocks and mineral different, where are they found, and how do we use them. Warm up with a rock sample matching activity. Next build rocks from minerals using a puzzle. Finally students create a work of art by combining their minerals to make a granite sculpture. It Comes from Soil Relay (20 minutes): In teams, students determine if certain everyday items come from the soil beneath our feet or not. As a group, investigate where things ended up and why. The students can make great arguments for why they put things here or there. Ultimately, the group should discover that many everyday items come from soil. Water-based Programs: Licking County has a lot of surface water and groundwater. People depend on this water for drinking, watering plants and animals, bathing, cleaning, etc. Observe how water moves above ground and underground. Evaluate and test the health of our waterways. Choose from the programs below. Mix and match programs to fit your needs and time limitations. Groundwater Model (20 minutes – 45 minutes): Simulate groundwater movement using a table-top model. Demonstration includes pumps to recirculate the water, wells, springs, artesian wells, a lake, an unconfined and a confined aquifer, a malfunctioning septic systems and leaking underground storage tank. Dye injection is used to simulate groundwater or contaminant flow. (Electricity is required to operate model). Water Quality Testing (30 minutes – 1 hour inside or 1 hour - 2 hours at a stream/river site): Modeled after Licking Soil & Water’s Stream Team program, students learn about various types of water pollution and their sources, as well as career paths related to water quality. 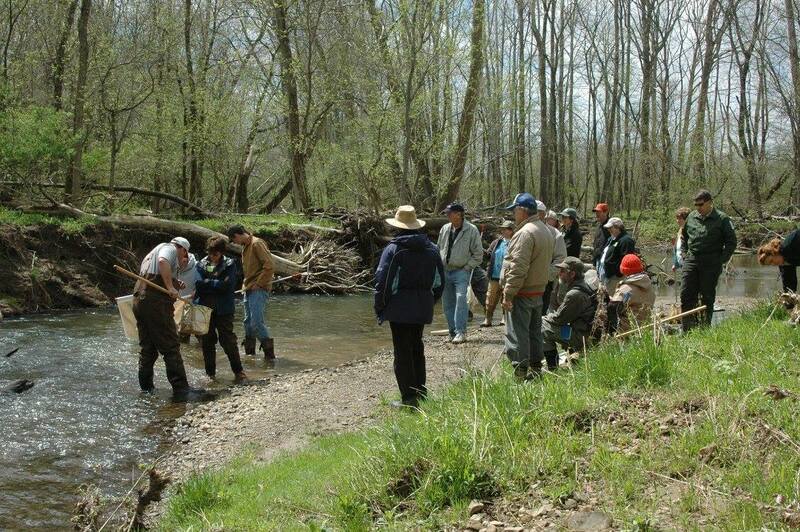 Participants perform habitat assessments and biological, chemical, and/or physical water quality tests on surface water. This credible data is recorded and analyzed along with other data collected throughout the county.